Sabrina and Chris, wow! We clicked from the very beginning, and I loved working with them every step of the way! They had a gorgeous winter engagement session at Steinberg Skate Rink. In fact! It was so gorgeous it was featured on Midwest Bride. They are so sweet, they even gifted my husband Brad and I with a bottle of bubbly right after we got engaged! It's safe to say, I knew their wedding was going to be fantastically gorgeous, and it was! They had a wonderful ceremony at the St. Nicolas Greek Orthodox Church, where Chris' parents married, and they read their vows in Forest Park. Sabrina has a beautiful voice, and she surprised Chris with a song. It was so heartfelt, I could feel tears rolling down my cheek! Their reception was at Windows on Washington, and it has never looked so remarkable! Bistro lights hung from the ceiling creating a warm and welcoming atmosphere, and there were so many lovely details. Sabrina and Chris mean so much to me, and I'm so glad they had the most perfect celebration! And last but certainly not least, special thank you to my second photographer, Karissa Eaton with Lucky Life Photography. She's amazingly talented, and I loved having her by my side the whole day. Thank you for visiting Erin Stubblefield Weddings and Portraiture's blog. 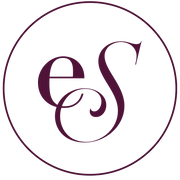 ESWP is an award-winning photography studio, based in St. Louis Missouri, owned and operated by seasoned photojournalist Erin (Stubblefield) Sexauer. Enjoy Sabrina and Chris' Windows on Washington wedding, and feel free to browse other St. Louis weddings photographed and curated by ESWP. To inquire about booking with St. Louis photographer, Erin Stubblefield, please use the email form under the ABOUT or INVESTMENT tab.